Born and raised in Los Angeles, California, I left the states late in life at 20, for a study abroad in Toulouse France. Having never taken a bite out of the world, I got real hungry. The path soon saw me living in Delhi, India learning Hindi and volunteering with street children. But this unquenchable girl couldn’t get enough of learning the depths of a culture and their language. So for the next several years I called London my home, doing business development for a design firm in Soho. But the routine of the corporate world dulled my wings, where writing speeches for Ambassadors and Politicians in San Francisco and working in dive whiskey bars did not. I thought I was done with the language game, but after a solo 6 month trip around South America to brush up on my Spanish, I fell in love with the land of Brazil. I decided I needed to live there, so ran home to pack and returned immediately to begin my dream. 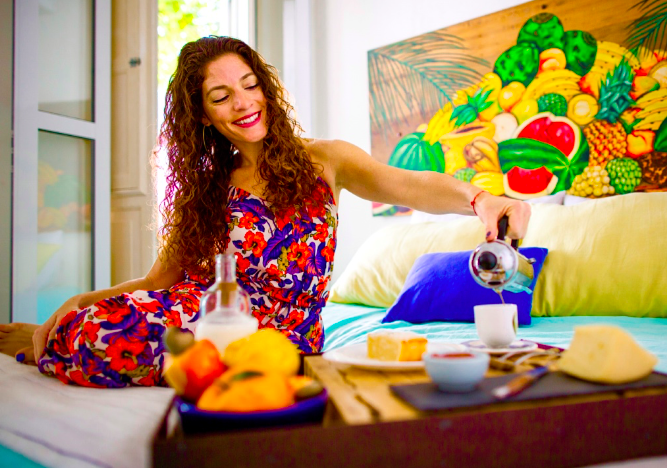 I soon there after founded, Casa Bromelia, a Rio Travel Concierge. Instead of catching a plane every other week to see the world, now the world comes to me. I have worked with Esquire, Vogue, the Wall Street Journal, KLM, ESPN and Elle as their prefered Brazilian Cultural Specialist.